Whether you are looking to spend your next weekend at the beach, or you are in search of a place to spend a few weeks or months and recharge your batteries, it is extremely important to know what to expect before you make a decision. There are many things to take into account, from weather, to the living price and conditions, and places where you can dine or have a cup of coffee. Not to mention the things you can do there, apart from sunbathing, of course. One great place for you to visit would be Rockaway Beach, Oregon. And because we want to help you out, we came up with the complete guide of everything you have to know before going there. Let’s begin! The first thing you should know is that the climate in Rockaway Beach, Oregon is overall mild. While the winters can be quite cold, if you are going there during the summer, you can expect a really lovely and hot weather. For instance, in the month of July, the average temperature is around 68 degrees Fahrenheit, while the maximum can go up to 73 degrees. Another important thing to remember is that the precipitation levels are quite high, so there can be periods when sudden rain is to be expected. However, the precipitations are not so severe so as to disrupt you from your daily activities. Overall, the weather in Rockaway Beach is especially nice during the summer, and definitely worth a trip there. The next thing that should concern you if you decide to take a trip to Rockaway Beach is to find a place to call home. Rockaway Beach offers a variety of housing options, from hotels and motels if you’re only going to spend a short amount of time there, to private rentals if you plan on being there for a while, and you want to feel more at home. Just to give you an idea of what you can choose, we have researched options from each category. This hotel is situated in the Tillamook area of Oregon. It has plenty of amenities for people who prefer to have everything they need at their disposal. Some of them include guestrooms where there is no smoking allowed, a restaurant, a bar, a fitness center, an indoor pool, banking services, a self-serve laundry, and basically everything you need on a vacation. The place is also family friendly, offering free cribs for babies, and extra beds at a surcharge. You also have the possibility of booking adjoining rooms, which is great if you are travelling with the entire family. One of the lowest prices they offer is $128 for a double room. Situated in the Manzanita area, this motel is a more affordable housing option in Rockaway Beach. The price of a double room starts from $82. You have amenities such as an outdoor pool, luggage storage, concierge services, and a picnic area. You are also extremely close to the beach. This is a big plus if you came here precisely to lay in the sun and listen to the waves all day long. And for people who enjoy golfing, you should know that the Manzanita Golf Course is only 11 minutes away. If what you’re looking for is a place where you can feel at home in Rockaway Beach, then the best option for you would be to look for some private rentals. One of such private rentals is McGuire’s Beach Rental. Probably the best thing about it is that it’s located across the street from the ocean. But a close second is definitely the fact that it is a really cozy space where you can have all the privacy you want. It has two bedrooms and one bath, a large living room with two couches, and a walk-through kitchen that is completely equipped. A great plus is that you can use the deck to barbecue. The owners also provide a Weber kettle barbecue. For the people who enjoy camping and don’t feel comfortable spending their vacation in a hotel or beach rental, there is always the possibility to use the campground facilities provided by Tillamook county. You have more than one option to choose from. From the Barview Jetty County Campground, to the Trask River County Campground, or the Kilchis River County Campground. You can even reserve a place in advance if you’d like. This Rockaway Beach restaurant has it all. They serve breakfast, lunch, brunch, dinner, and coffee if you’re in the mood for a midday caffeine boost. You can eat inside, outdoors, or even take your food with you at home, and the prices are really affordable. A great place for families with children, this restaurant has really good service and delicious food. Doesn’t this sound delicious? This Rockaway Beach restaurant is the place to go to for the most delicious pizza around. Specializing in Italian food, it is a great place to go get dinner and drinks, since they also serve alcohol. So if you’re in town with your family or group of friends, and would like to go to a place where both the atmosphere and the food are great, we suggest you try Upper Crust Pizza. Finally, we thought you might want to hear about an awesome place to go get breakfast and coffee in the morning. Despite its name, we can assure you that this is a very lovely café. It has really good service, and delicious breakfast options. The prices are affordable, and the pancakes are exquisite, so why not give it a try? Last but not least, we wanted to give you some suggestions of activities you can do while you are in Rockaway Beach. Visit the Tillamook County Pioneer Museum. Spend an afternoon at the Alderbrook Golf Course. 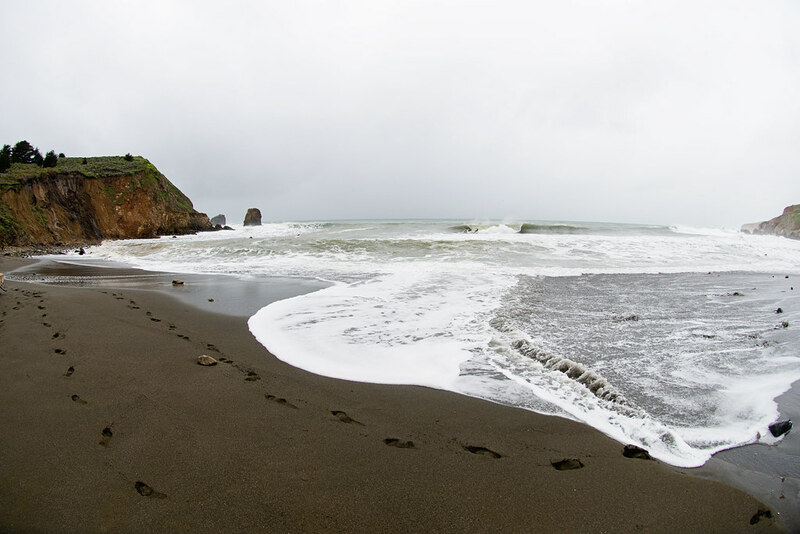 Go hiking south of Rockaway Beach, to Munson Creek Falls and Kilches Point Reserve. Try some water sports such as scuba diving, windsurfing, or jet skiing. Visit the Cedar Old Growth Nature Preserve.